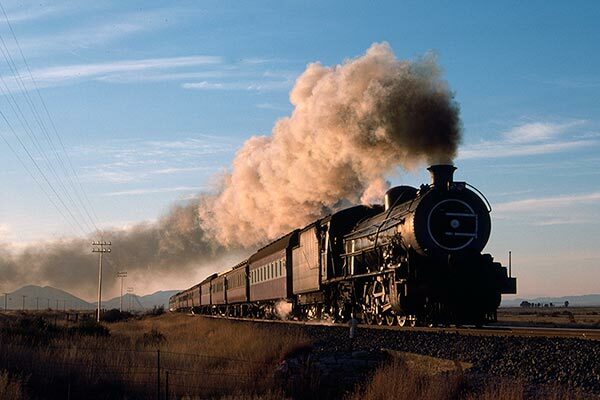 Caption - South African Railways (SAR) 15AR class 4-8-2 1807 makes light work of the heavy East London to De Aar passenger between Allandale and Rooispruit in June 1978. Keeping pace with this train always needed a heavy foot on the accelerator pedal and luck with the weather. A cold morning was perfect but never guaranteed even in mid-winter.